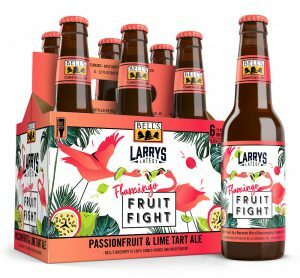 COMSTOCK, Mich. — Bell’s Brewery is proud to announce the next can and bottle release in its Larry’s Latest series – Larry’s Latest Flamingo Fruit Fight (5% ABV). A Tart Fruit Ale brewed with passionfruit, lime zest and wheat malt, Flamingo Fruit Fight is tart with tropical and citrus aromas and flavors. It follows the 2018 debut of Larry’s Latest Sour Ale, a dry-hopped Kettle Sour Ale. The name Larry’s Latest is a nod to the spirit of innovation and experimentation that Larry started in 1985 and continues within the brewery to this day. “This is a fun beer with a fun name. 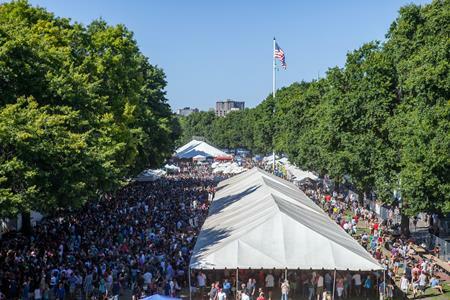 When it’s released, it’ll be nice little staycation of sorts, a break from the wintery blues January can bring,” said Larry Bell, President and Founder of Bell’s Brewery. Flamingo Fruit Fight will be available in 16 oz. cans, packaged in 4-packs, 12 oz. bottles, packaged in 12-packs and 6-packs and on draught beginning in January. A specialty release, it will be available to order across Bell’s distribution footprint, but will be limited. Lime zest and passionfruit work together with the latter driving a beautiful acidity that will be appeal to those who enjoy tart beers, but not overwhelm and drive away those who do not. Not all of Larry’s Latest beers are released in packaging aside from draught. Many also do not travel beyond Bell’s pub, the Eccentric Café. Additional details will be shared at bellsbeer.com and on Bell’s social media as it becomes available.